It’s getting nice and nippy out there. So we’re always looking for fun ways to keep warm. If you’re a cheapo like me, you probably hate keeping that furnace cranked all day and night, and not everyone is fortunate enough to own a fireplace. 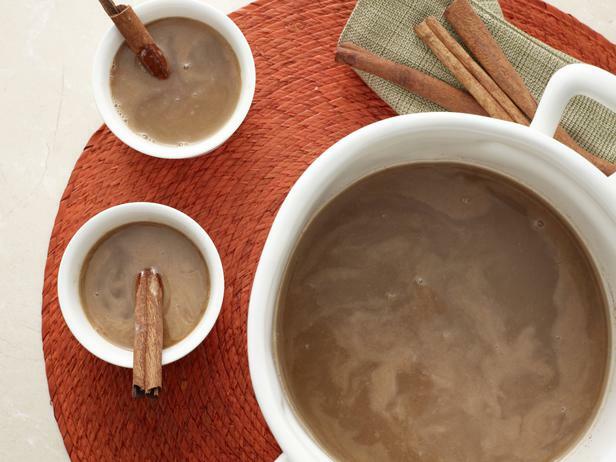 Don’t worried, we’ve got you covered with this tasty recipe for hot buttered rum we found last year from superstar chef Rachel Ray. Give it a try and tell us what you think! Photo and recipe courtesy of Rachel Ray and the Food Network. A drink I had completely forgotten about. Used to love buttered rum on a cold evening. And of the smell, my memories are flooding back. Thanks so much, so have to make some this weekend. I just found your site thru Pinterest! Love it here and will be looking forward to your email’s (just subscribed!). I’m going to try this particular recipe out tomorrow for Thanksgiving day! Thank you so much for stopping by and checking us out. Thanks for subscribing as well, don’t forget to tell you’re friends!